2018-2019 hunting guide: Plan your upcoming season now! Apply for quota/limited entry hunts. 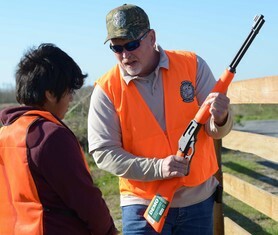 The phase 1 application period for many quota, special-opportunity and national wildlife refuge permits begins at 10 a.m. on May 15 and runs through midnight on June 15. You can choose quota/limited entry hunts for deer and hogs as well as hunts for families, youth, people with disabilities, bowhunters and those hunting with muzzleloaders and modern firearms. Get more details about fall quota/limited entry hunts and apply at GoOutdoorsFlorida.com, county tax collectors’ offices or most retail outlets that sell hunting and fishing supplies. Download WMA brochures and maps. Whether you’re applying for quota/limited entry hunts or planning to hunt a public area where a quota permit isn’t needed, it pays to do your homework now. To reduce waste and make regulations updates available in real time, beginning in 2018-2019 the WMA regulations brochures will only be available at MyFWC.com and the Fish|Hunt FL app. The phase I application period for the alligator harvest random drawing begins May 18 at 10 a.m. and runs through May 28. More than 6,000 harvest permits will be available. If you’re 18 years old by Aug. 15, 2018, and have a valid credit or debit card, you can apply for an alligator harvest permit that allows the harvest of two alligators on a designated harvest unit or county. Be sure the credit or debit card you use to apply has sufficient funds. Applications that can’t be pre-authorized due to insufficient funds will not be successful in the lottery. In response to feedback received from alligator hunter opinion surveys, we’ve made a slight change to the application process to spread opportunities for being drawn to more applicants. The number of hunt choices that can be applied for was reduced from 20 to 12, which is expected to increase the number of desirable permits available during the second application period. It also should reduce the number of applicants who are awarded permits for areas they didn’t want – but listed as part of their 20 choices. Learn more about how the random drawing works and check out these tips to apply for alligator harvest permits. 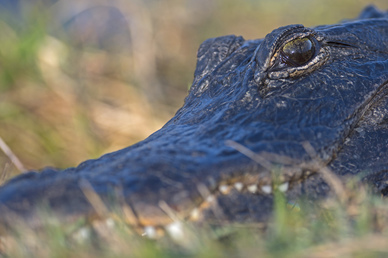 The updated Guide to Alligator Hunting in Florida is another great source of information about the application process and hunt structure, rules and regulations, methods of take, and tips on how to safely and responsibly hunt alligators. It also provides information about how to process, store and cook the meat, and preserve the hide. Also new this year are maps for all county alligator management units showing what waters are available to hunt. Since 1988, Florida's statewide alligator harvest program has been nationally and internationally recognized as a model for the sustainable use of a renewable natural resource. Each year, alligator management units are established with appropriate harvest quotas to provide recreational opportunities for hunters from Florida and beyond. Numerous spring and summer wild hog hunting opportunities are available at 18 wildlife management areas from April to September (mostly on weekends). Most of the areas for the spring/summer hunts don’t require a quota permit, but you will need a $26.50 management area permit. 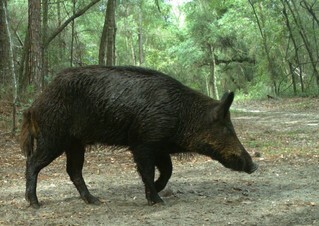 You also can hunt wild hogs on wildlife management areas during most hunting seasons (except spring turkey). On private lands, wild hogs may be hunted year-round with no hunting license required. Also, because wild hogs can carry parasites and diseases, we encourage you to take precautions when dressing and handling harvested wild hogs. Florida’s wildlife management areas offer a wide range of hunting opportunities including quota/limited-entry hunts, special opportunity hunts, and public hunting areas where hunters can walk on to hunt. Start planning for upcoming hunting seasons now by reviewing WMA regulations brochures. Beginning in 2018-2019, the WMA regulations brochures will only be available at MyFWC.com and the Fish|Hunt FL app. They will not be printed. This allows the FWC to reduce waste and make regulations updates available in real time. Before heading afield, we recommend printing or downloading the WMA regulations brochure and map to a mobile device so you can access them without an internet connection. Kids learn about conservation and develop skills such as shooting a bow and arrow, building a campfire, fishing, paddling and using a map and compass. They spend the day outdoors getting fresh air and being active. It’s a great place to make new friends. 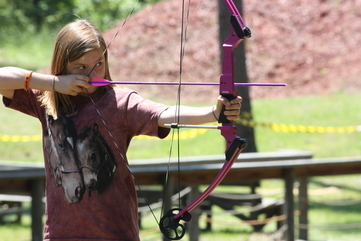 Outdoor Adventure Summer Camps are safe, affordable and fun! Our camps are available for kids who have completed third grade and up and are located throughout the state. Spots are limited and filling fast, so register your kids today for the experience of a lifetime! 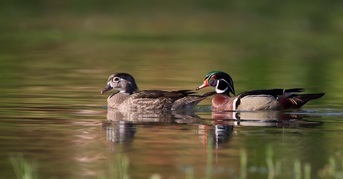 Help us learn more about wood ducks, mottled ducks and whistling ducks by suggesting new places to band ducks this summer. We’re looking for wetlands that hold ducks during spring and summer, have lots of vegetation and are fairly free of stumps and trees. Trapping may be done anywhere on public or private lakes or rivers, even in backyards of lakeshore properties. Many people have wood duck boxes in their yards, and ducks tend to congregate in these areas. Banding takes place July through September and is done to assess harvest, lifespan and movement patterns. If you know of an area that fits the description, please forward the location and details to ducks@MyFWC.com or call 850-488-5878. Start planning for upcoming hunts by checking out the 2018-2019 season dates and bag limits. You may notice a new look this year. Based on survey results regarding hunter preferences, we reformatted the information to make it easier to navigate and read on any-size screen, including smartphones. Start the process now to take someone hunting later this year. Help new hunters get started. Take them shopping for needed gear and clothes. Enroll in a hunter safety course with them. Teach them about wildlife conservation. Practice important hunting skills. Clean and repair your hunting equipment before storing it. And replace items in short supply. Practice your marksmanship skills. Find a FWC-managed range. Start the process for planting a food plot by getting your soil tested and prepping the seedbed. Join a conservation organization. Get involved and meet new people who share your interests. 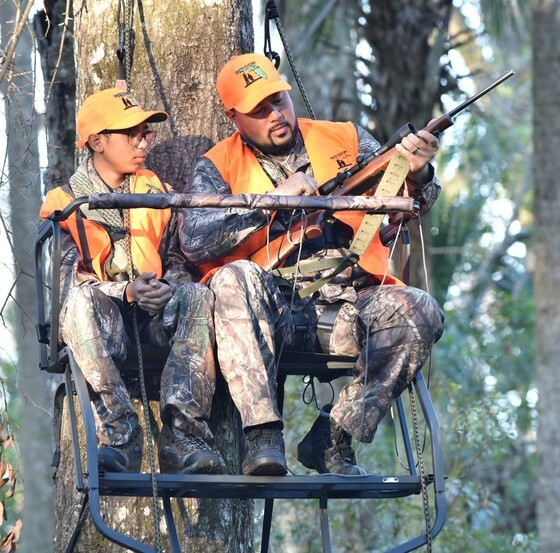 Introduce others to safe, responsible hunting by volunteering for the hunter safety program or the Youth Hunting Program of Florida. When: Saturday, May 12 from 8 a.m. to 3 p.m.
For more information: Ashley.Lawson@MyFWC.com or 386-758-0525.